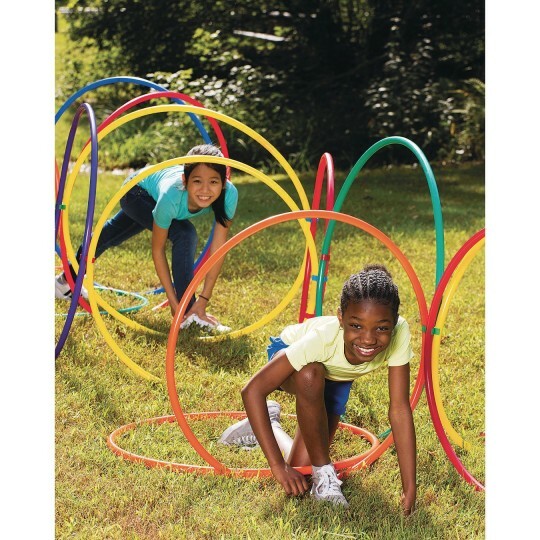 Includes 18 of our No-Knott™ Hoops with 6 hoops each in 24”, 30”, and 36” sizes. 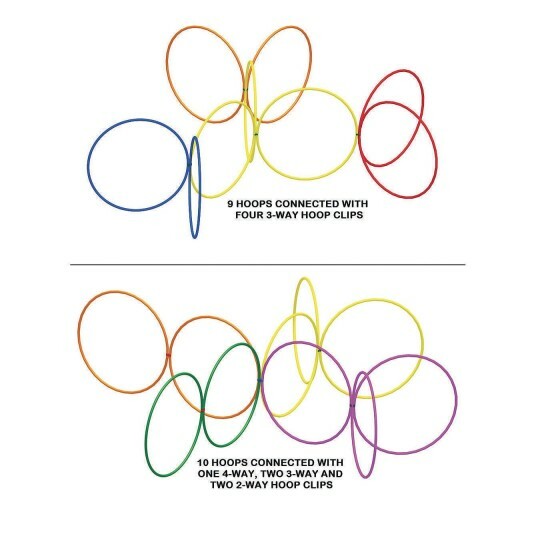 These are our best hoops and feature an extruded tube with a 0.85” diameter and a 0.10” wall thickness designed to virtually eliminate kinks and knots. 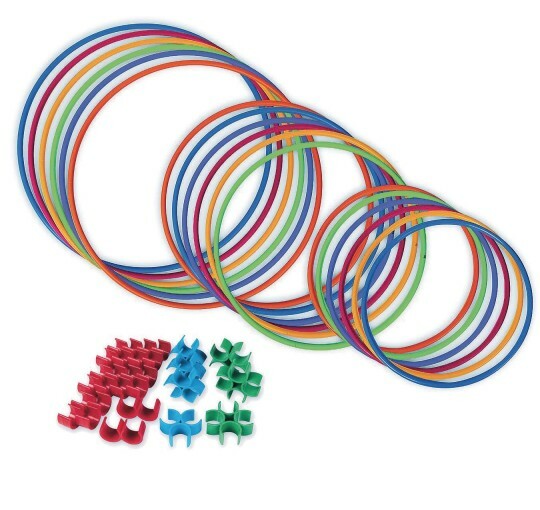 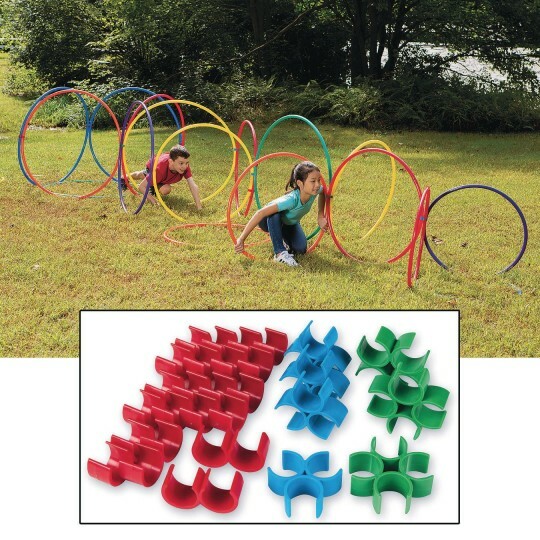 To maximize what you can do with these hoops we have added a pack of our versatile 19 hoop clips, with 12 two-way clips in red, 4 three-way clips in blue, and 3 four-way clips in green all made from durable ABS plastic. Use the clips to create structures that stand up on their own or to hold hoops together on the floor.